Every girl remembers the moment that she got engaged and I am fortunate enough to get to relive this moment through a shoot such as this. 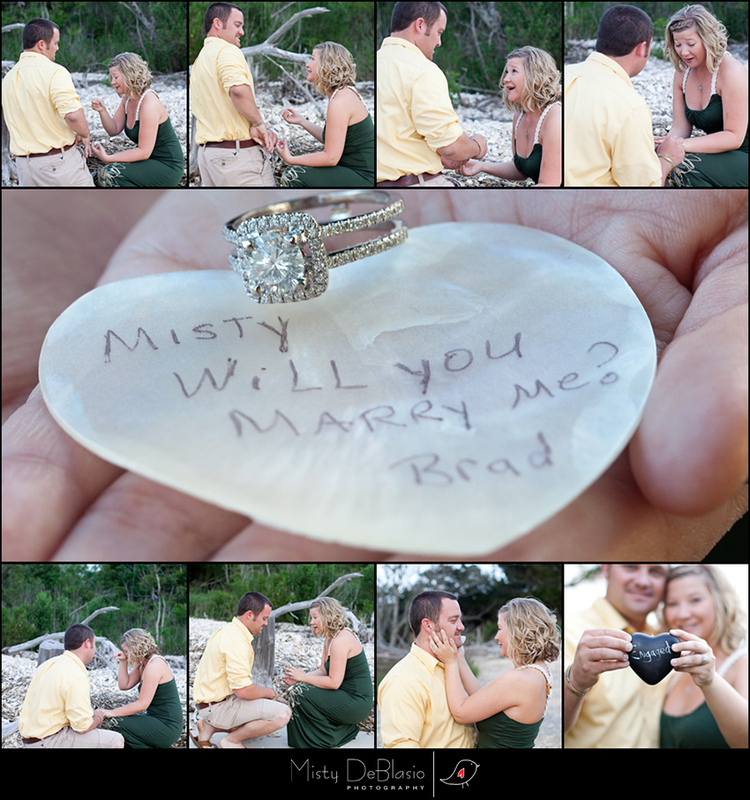 Brad planned this as a surprise for Misty for quite a while. She had pretty much decided that after almost five years (next month) of being together, that they were not going to get engaged for quite some time. I casually mentioned to her that I was conducting mini-sessions on the beach and she talked Brad into it (tee hee). I cancelled it once and tried to reschedule it for October just to throw her off. We spent about half an hour shooting near a marina then headed over to the beach and they started picking up shells and there was a heart shaped one hiding there just for her. Yes, there are many other shots of them but I though I would just add a few of the “moment” here. Best Wishes to one of the sweetest couples that I know. It is a privilege to introduce Misty and Brad.